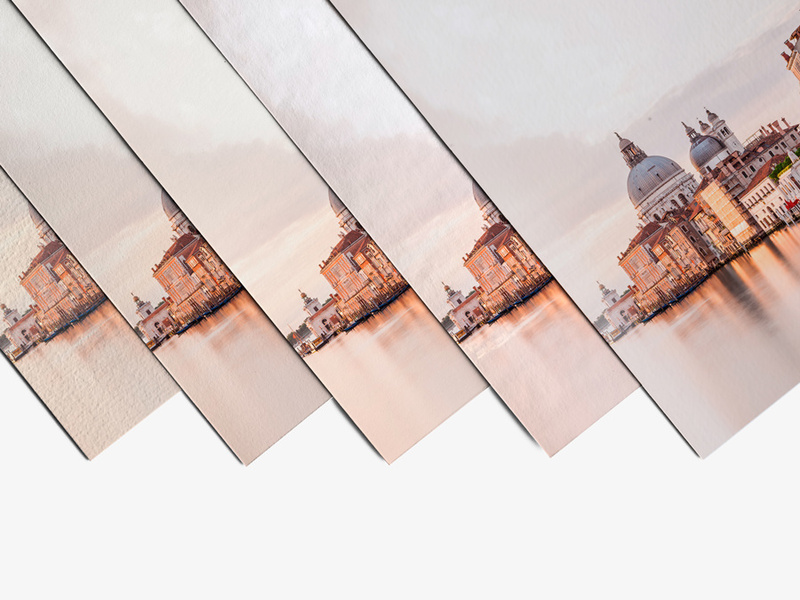 A perfectly artistic way to print your photos, our Hahnemühle Fine Art Print on high-end artist paper is stunning, luxurious, and authentic! Choose from five different papers ranging from 285 g/m2 to 325 g/m2. Hahnemühle’s authentic art paper is regarded as top of the line. It is often used for exhibitions and limited-edition art prints. We offer five different options, which are all stunning thanks to excellent image quality and brilliant colour gradation. Especially well-suited for authentic portraits and extraordinary photo concepts. Natural white with a matte surface. A genuine mould-made paper. For all kinds of images and for high pictorial depth. White and matte. For outstanding depth with precise contrasts in black-and-white photographs. Bright white with a special coating for a refined pearl finish. For extravagant photo production and to capture the 3-dimensionality of an artwork in a unique way. Bright white with a matte finish. Impressive color depth and crystal-clear definition. Warm, bright white with a glossy finish. The premium print using Epson UltraChrome Pro pigments ensures the finest tonal gradation. Six colors and three shades of black provide all the nuances and emphasise every detail. Pictures are reproduced at an ultra-high resolution of 1,440 dpi with perfect grey balance. Extremely long-lasting color that is true to the original. 9 colour print using Epson UltraChrome Pro pigments. 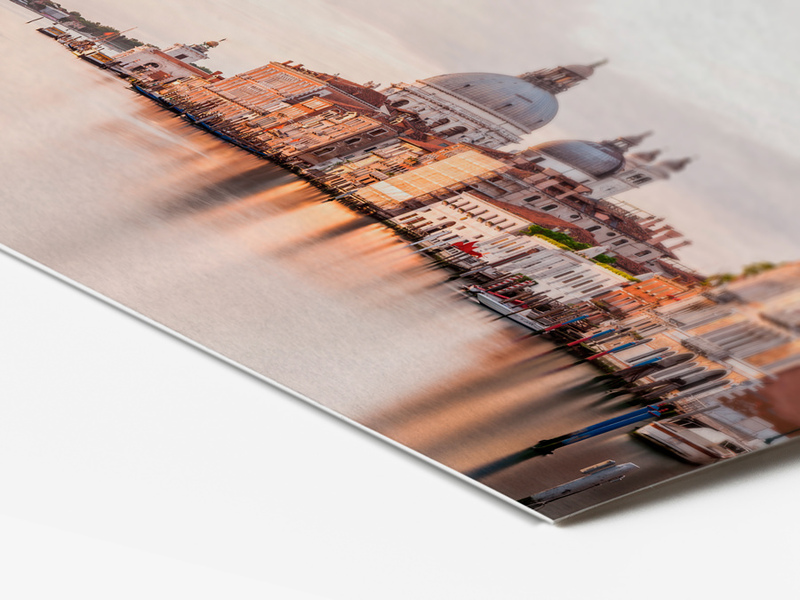 With a white border, you can put more focus on your premium photo print. Simple and elegant, white borders are the traditional way to accentuate and direct attention to your image. Prints with white borders are also easy to frame or mount in a passe-partout later. The William Turner and Photo Rag papers are always produced with a white border of at least 1 cm to ensure cleanly cut edges. 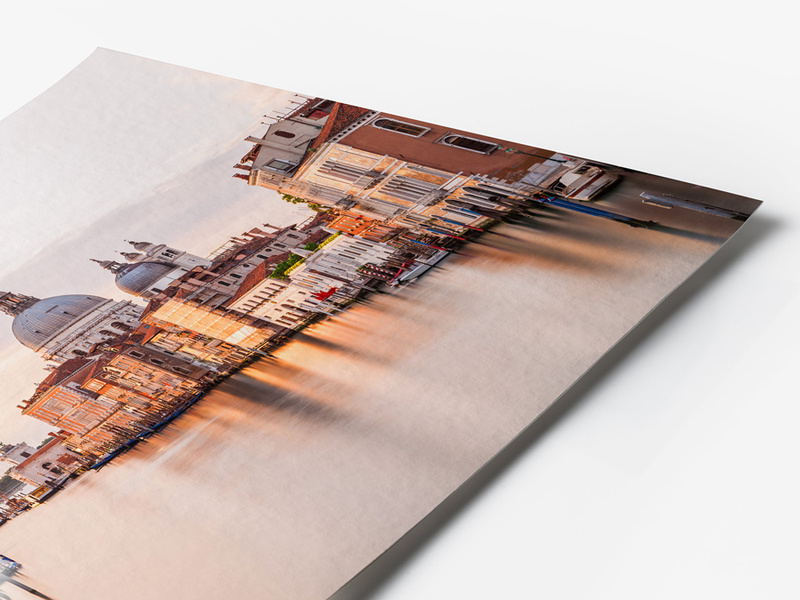 An Epson UltraChrome Pro Print can be made in sizes ranging from a petite 9 cm all the way up to a stunning 270 cm. We offer standard formats from miniature to extra-large, and with optional rounded or cut corners. Or create your picture in a panoramic or round format, or an individual, custom format. Photos on Hahnemühle paper are particularly high-quality. To protect your picture and add an additional personal touch, you can also have your print framed. We offer over 100 frame models in various styles, numerous materials and colours, and with different passe-partouts. 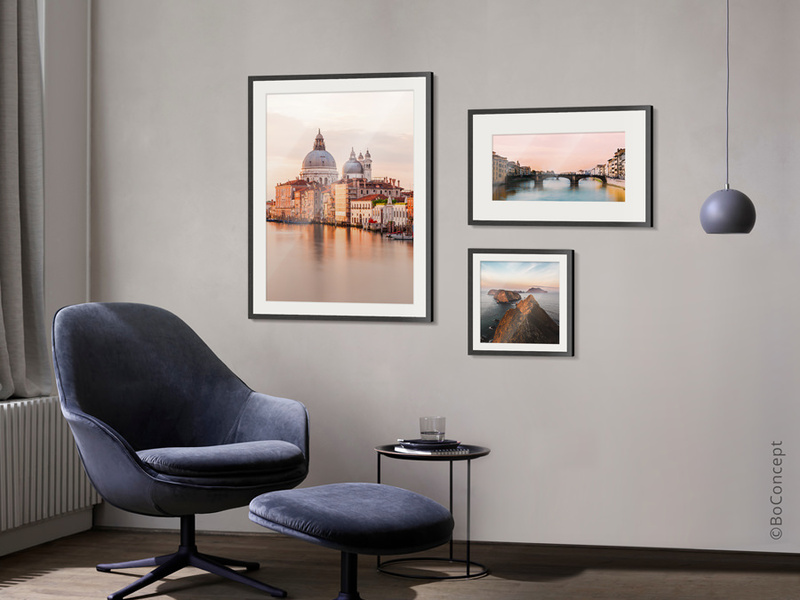 Wall-mounts for hanging pictures in portrait and landscape orientation are included.